Recently, I began moving my materials and photos to One Drive by Microsoft. When I deleted pictures from Google, it took several of my blog photos, so I've deleted the prior posts. On this blog site, readers can find a few of my most popular posts. I invite you to join us at the new blog spot. I've spent the winter break making some fun things for the winter months. We are inside more that usual because of the cold, so I wanted to fix things up. First, I let the youngest kid, Little D, select the animal we will study upon returning to our school schedule. Little D selected polar bears, and I selected seasons are our theme for January. In order to be fair, I allowed my oldest, Big D, to select the blog graphics. Pirates from the Thistle Girl Designs members' collection won hand down. Thistle Girl Designs "EZ-Change" have long HTML tables that have to update by hand every time you change them. This is easy but tedious. After Christmas, I stripped out all the HTML tables and converted the entire web page use CSS. Our website is more children than the public, but you are welcome to check it out at http://www.teachingforfun.com. After sprucing up the website, I started on the blog. My goal for 2014 is learn to create my on blogger CSS and sell them on TpT. What you see is my new and improved customization. I hope you enjoy the new look and the "Polar Poster Packet". It is on sale until Jan. 6th for $4. 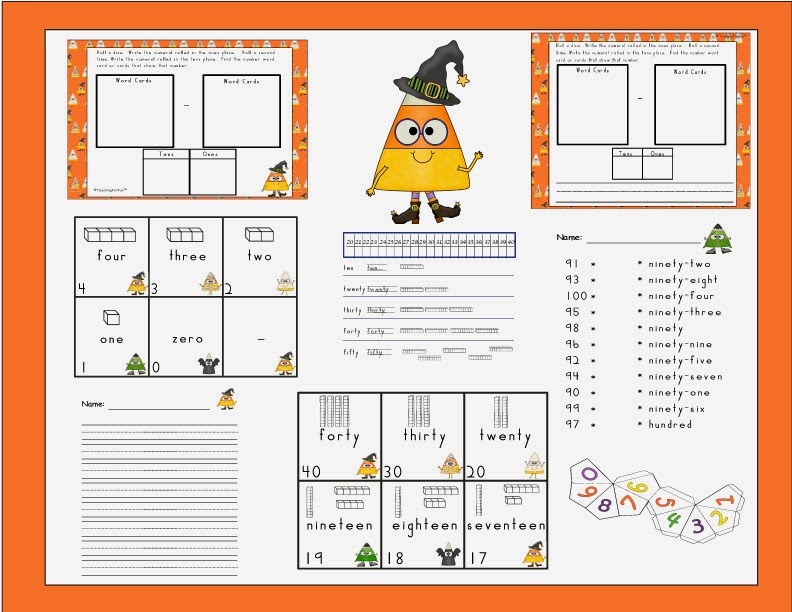 After that time, it will be $6 for 26 posters and 14 pocket chart labels in two different sizes. 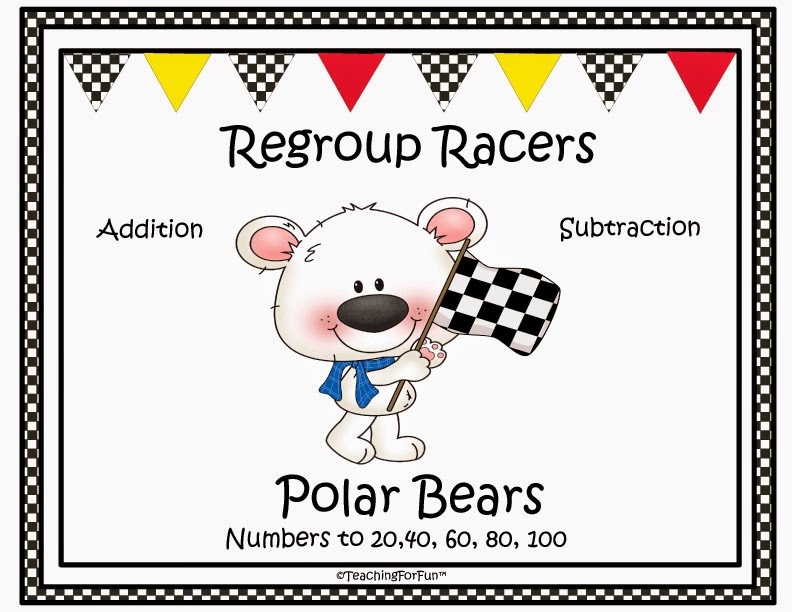 Don't forget the Polar Bear Racers for some addition and subtraction fun, or P. Bear's Polar Bear Party Unit for New Year time telling games. It snowed in Texas on Christmas day. The kids are glued to our new game console to avoid the cold. Hubby is redoing the kitchen. Mom is nuzzled up by her computer plotting an Arctic theme for January. I hope the weather lasts a couple of weeks, or we'll be studying Arctic and Antarctica in 70 degree Texas sunshine. New Year's 2013 will start out with penguins and polar bears. 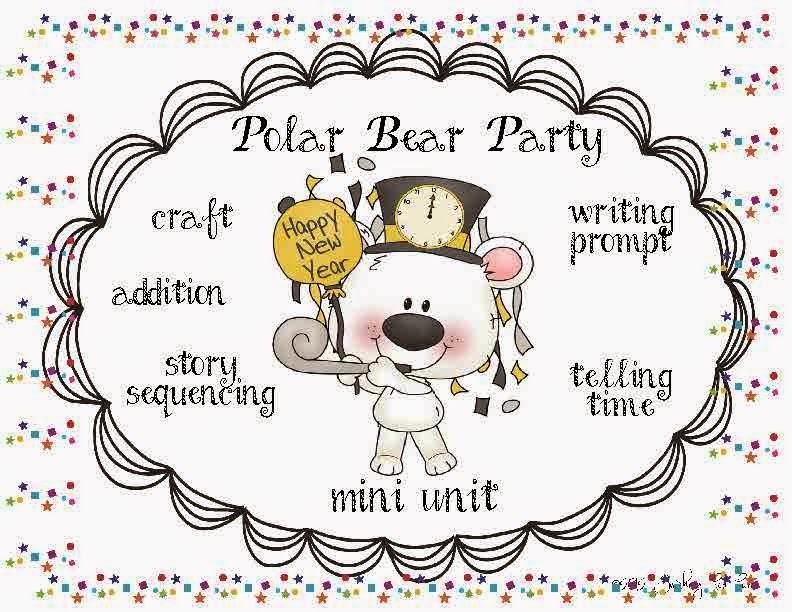 Early this week I posted the P. Bears Polar New Years Party unit. 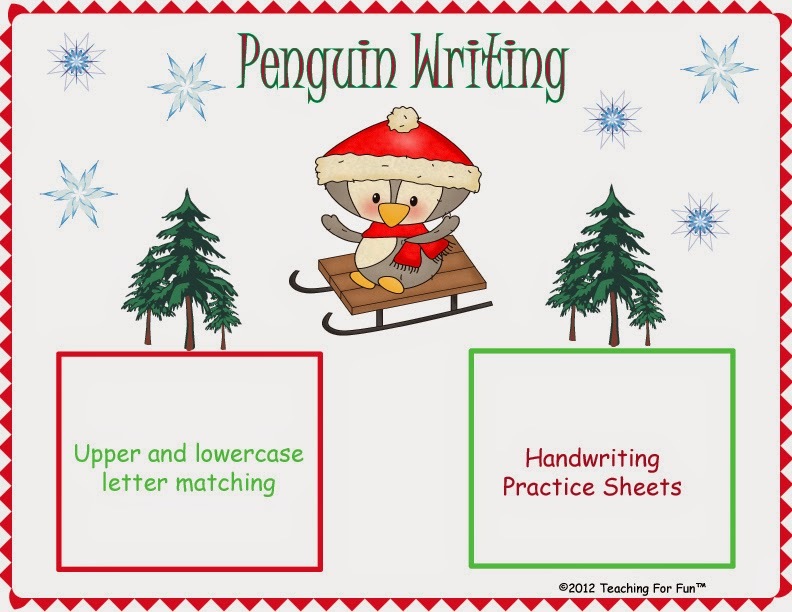 I have created a penguin winter sports theme handwriting game, Penguin Writing. It's like Reindeer writing but with a winter penguin theme. Of course it's absolutely free. Please check out these freebies and have a great day! 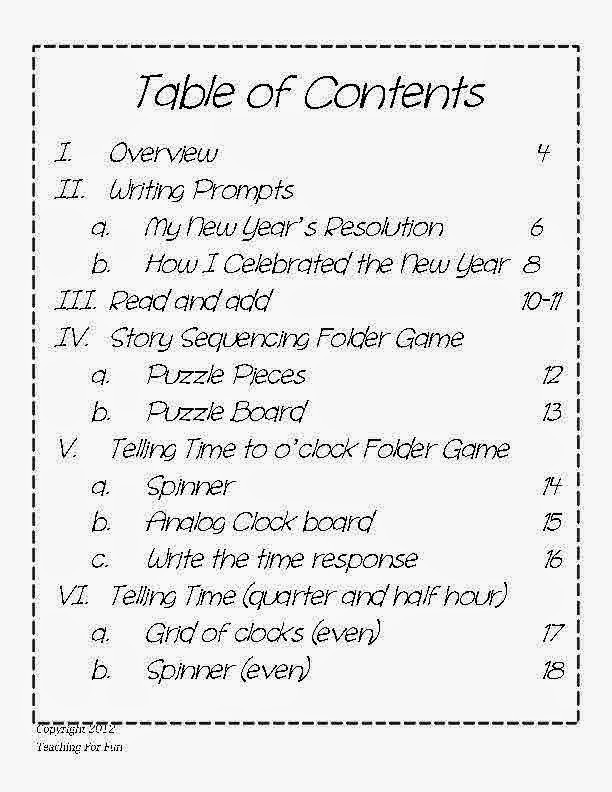 Today I am prepping all activities for January 7th, our first day back to school. Yesterday I introduced my New Years mini unit on this blog. "P. Bear's New Year's Party", by Paul Owen Lewis, covers the concepts of hourly time and numbers 1 to 12. The unit begins by reading the book to the children. To make this more interactive, I created number cards with pictures of each guest animal. Twelve cards have number words, another twelve display dots. I distribute the cards evenly before I read the book. As I read about the animal guests, the children put the corresponding cards into the top hat. I made the top hat out of two old Folgers cans of different sizes. I used a small can and a large can. We buy small cans of decaf and giant cans of regular coffee. Hubby only likes the strong stuff, but I like decaf on a cold night. I save all the empty canisters and use them for crafts and dry bulk storage. I also save egg cartons for math, but that is a different story. The next thing I tackled was assembling the time games. To assemble the games, I used page protectors to make a folder. I taped one protector to another. This assembly allows me to fold the games and store in a large document envelope. Game 1 requires place markers. I clipped colored paper clips to the side of the game board. These will be the game markers. There are three spinners to add for two games. I have several novelty spinners already. I did not want to use my large spinners, so I made spinners with a paper brad and paper clips. Pierce the center of the circle with a thumb tack. Place a small paper brad about half way through the paper. Tape the prongs of the brad to the back of the paper. Slip a small paper clip over the top of the brad. Make certain the paper brad protrudes above the paper. Tape the end of the brad down on the reverse side of the paper. The brad creates a post for the paper clip to turn around. If you need a longer spinner, then join 2 paper clips together. Place a water bottle cap over the brad before putting the game away. The cap protects the brad, so it doesn't get bent in storage. Finally, I cut out the story sequencing puzzle pieces. The puzzle board has clocks showing the time and an outline of the puzzle piece. The puzzle pieces have animal pictures. The child reads the clock and finds the visitor that arrived at that time. You can download the free number cards from here. 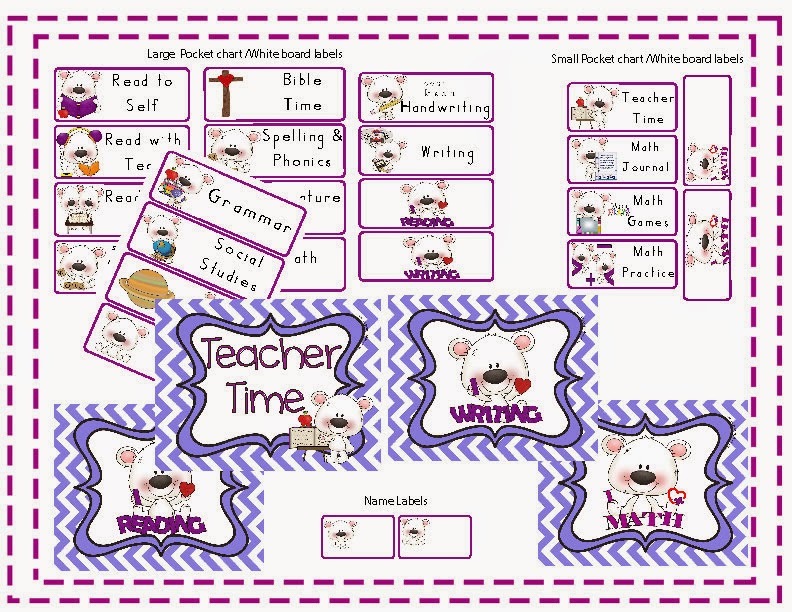 The mini unit is on my TpT store. 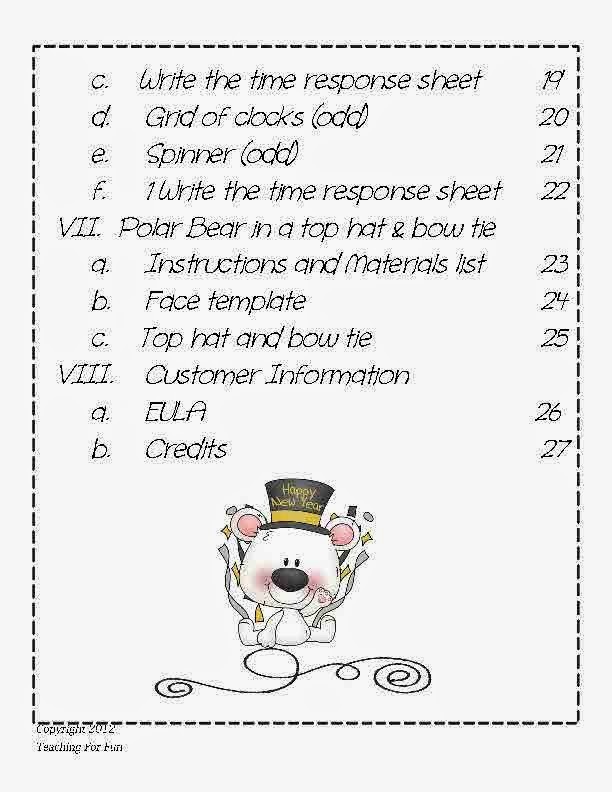 Download the preview to receive a free Polar Bear in Top Hat and Bow Tie craft. The children are asking to do this activity. Their enthusiasm reassures me that the first day on the new year will be fun. This project takes some preparation, but adds novelty to returning to school after the holidays.. It is hard to get little ones excited after the holiday festivities are over. I think this will do the trick for us. Finally, I can take a needed break. 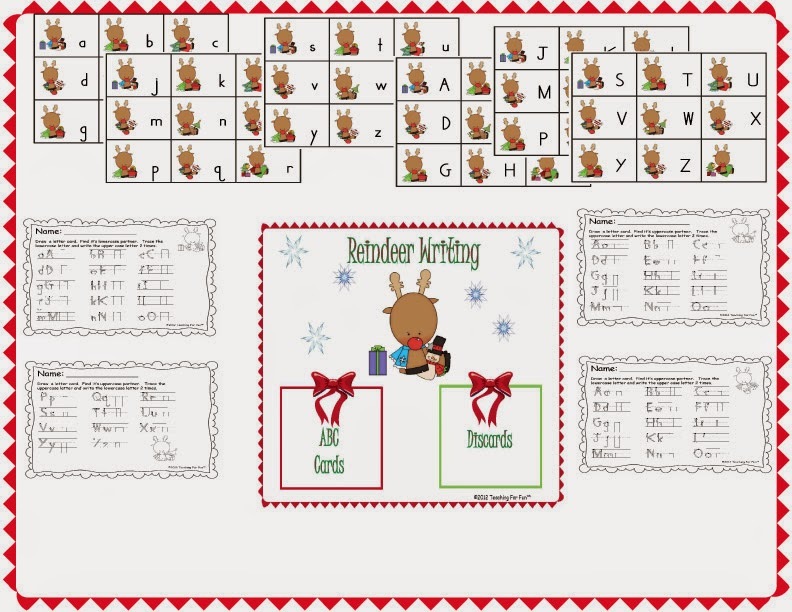 Grab a handwriting freebie with a Reindeer Theme. 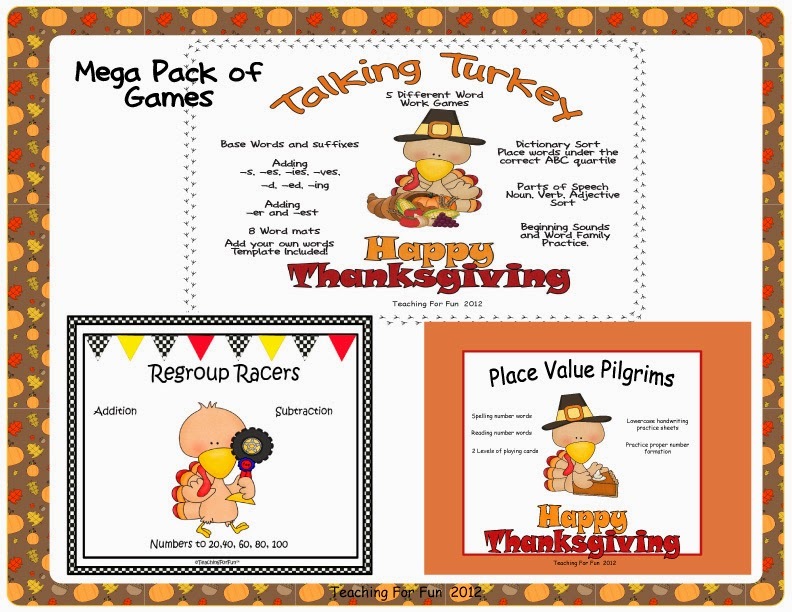 I created a fun Thanksgiving program for our home-school last week. However, we got the flu shots, and now we all have the flu. Oh well, perhaps my organization can help you this week instead. Last week, I tried to find a counting turkey book rather last minute. We just wrapped up a four week theme unit on government and elections. Thanksgiving quickly sneaked up on my schedule. On the 7th of November, the library was clean out of Thanksgiving books. I scavenged Half Price Books but found nothing. Amazon and Barnes and Noble were too expensive. I didn't give up. My persistence paid off when I found a lovely poem on the internet. I followed up by making this activity go with it. You may download the poem and the craft from my Teachers Pay Teachers store front, "Teaching For Fun". Enjoy! Don't forget to clean out your local library of Christmas books now. I did!